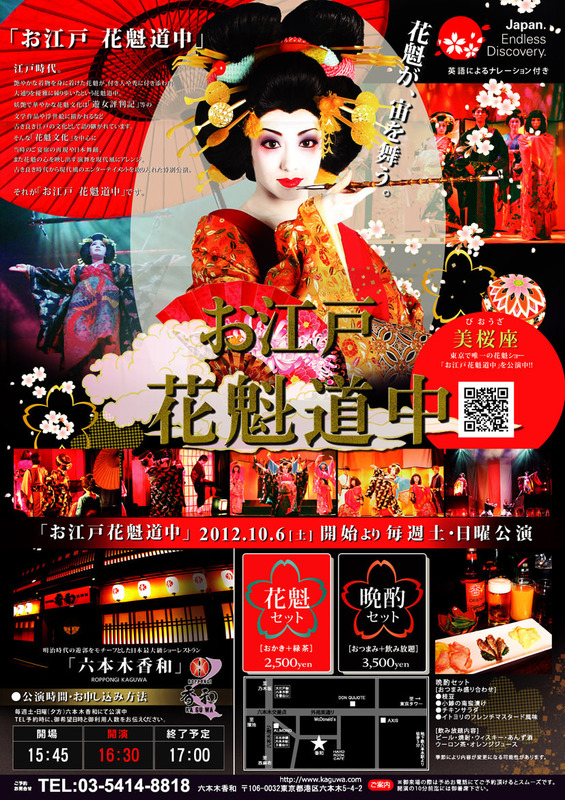 The shows at “Roppongi Kaguwa” are exploiting a theme of red-light district of the Meiji Era, when the Oiran ladies (Japanese courtesans) were famed for their skills in entertainment and art. At the stage of “Heisei era version of Oiran show” held in the Saturday and Sunday evenings, Oiran ladies fly in the air! This Edo culture of Oiran depicted in many literature and Ukiyoe, as well as old style Enkai party and Nichibu (traditional Japanese dance) , is arranged modern way and performed. Have you mesmerized with this gorgeous shows with Kimonos!